For those who love a good twin-stick shooter, Smith and Winston certainly looks quite interesting and it has some pretty sweet design. The developer kindly provided a testing key and I can confirm that it works rather nicely. The Steam Controller paired with SC Controller also works quite well in it. I often find twin-stick shooters not all that great with aiming on the right pad of the Steam Controller, in Smith and Winston it actually feels pretty natural which is awesome. Since the world is built with voxels, it's almost entirely destructible. You can shoot through walls, blow a hole in the floor to make enemies fall to their death, make a path for yourself through something and it does actually look really quite stylish. Interestingly, they're not just using a destructible environment to look cool with explosions, some portals you need are also buried requiring you to dig them out which I thought was a fun idea. I hope they do more interesting things with it like that. Camera controls are quite nice too since it's also a fully 3D game, allowing you to rotate all the way around your character as well as adjust the tilt on it to get the position you want. Unlike a lot of games, they're not sticking in random generation. I like that, because so many games have now moved towards random generation that they can end up feeling a lot less personal, hopefully with the hands-on approach to world building the developer will be able to make it stay interesting. The combat can be a challenge since you only have limited lives and no health bar, if you're hit you go down and you have to respawn. The movement system is also quite nice, with you being able to dash forwards and boost upwards to reach new areas and avoid enemies in a flash. I really love what I'm seeing here and it could be especially fun when they add in two player co-op, which is planned. It's a little limited right now since it's still in development but very promising indeed. They are planning a Steam release when it's further along, for now it's only on itch.io. It is made from the same people of Voxatron? Furor It is made from the same people of Voxatron? Yep, definitely reminded me a bit of this one! (I was even going to look for the name, as I got it as part of the first humble asm.js bundle). It looks very nice, I hope there will be some sort of couch multiplayer (though that would also be OK without). It could be nice as a (team) deathmatch. I would have also put a randomly-generated dungeon crawler mode, but maybe that's just me? Let's hope it has support for mods for this to come in at some point! Hello, I'm the coder on Smith and Winston! Voxotron was definitely an inspiration for us. 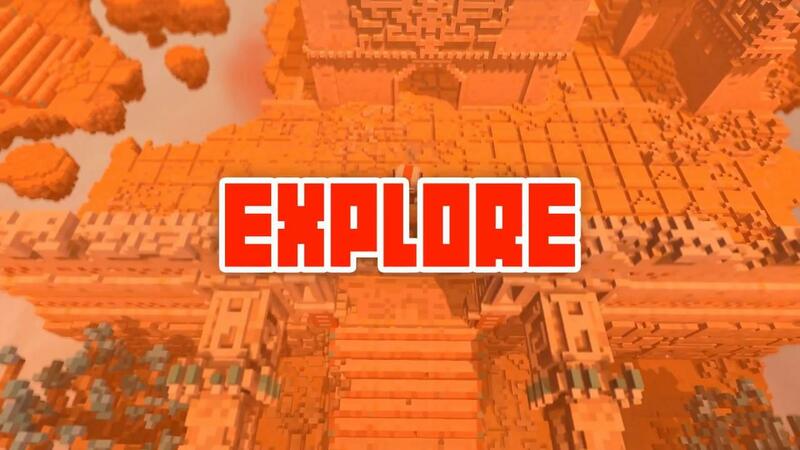 It inspired us to give voxels a go and we ran with it. 2 player coop is defintely in the works (but it's not there yet). We plan to have the whole thing finished by march next year. The game is moddable... as in there isn't anything special or hidden, all the levels are in text files and all the game logic is readable/changable. We're REALLY busy right now getting the game done but we will definitely help modders after the game is released. Quote Unlike a lot of games, they're not sticking in random generation. I like that, because so many games have now moved towards random generation that they can end up feeling a lot less personal, hopefully with the hands-on approach to world building the developer will be able to make it stay interesting. Yay! Hand-crafted sounds great to me. Quote The combat can be a challenge since you only have limited lives and no health bar, if you're hit you go down and you have to respawn. If it is just at a checkpoint, that sounds fine. Lots of games are "hard but fair" without sending you back to the beginning. metaldazza Hello, I'm the coder on Smith and Winston! Is it going to come on Steam? Hi no_information_here, to put your mind at rest we don't send you back to the beginning of the game or level, that really is too harsh. We've broken up the levels with a series of portals which allow the player to jump between sections. You re-spawn at the last one of these you traveled through, so its basically like a check point system. Emazza Is it going to come on Steam? Hi Emazza, It sure is, our page was approved yesterday. Charlie_SnW Hi no_information_here, to put your mind at rest we don't send you back to the beginning of the game or level, that really is too harsh. We've broken up the levels with a series of portals which allow the player to jump between sections. You re-spawn at the last one of these you traveled through, so its basically like a check point system. That sounds perfect. The wording was a little hard to figure out, considering how many games take rogue-like elements these days. I look forward to the finished game!